The tune "La Cumparsita", written by the Uruguayan Gerardo Matos, is amongst the most well known tangos of all time. 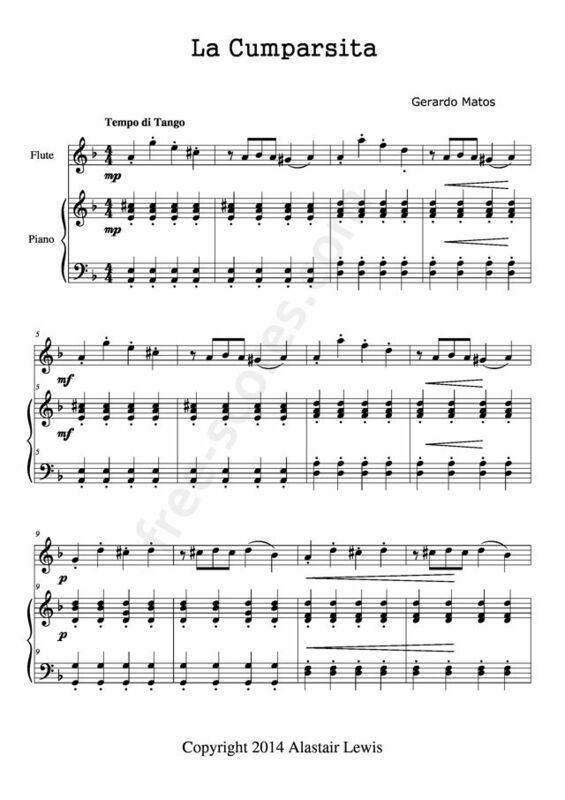 The music was originally written as a carnival march, the title translates as "The Little Parade". Matos, then 18 years of age, wrote the tune in 1916 while he was studying architecture in Montevideo. He presented the music to the orchestra leader Roberto Firpo, who determined that the tune could be used as a Tango. Firpo made various adjustments to the music, including the addition of a portion of the song "Miserere" from the Opera "Il Trovatore" by Giuseppe Verdi. The music only became widely popular after the Argentine Pascual Contursi added lyrics in 1924. In the film "Anchors Aweigh" (1945), Gene Kelly dances to the tune in a scene. 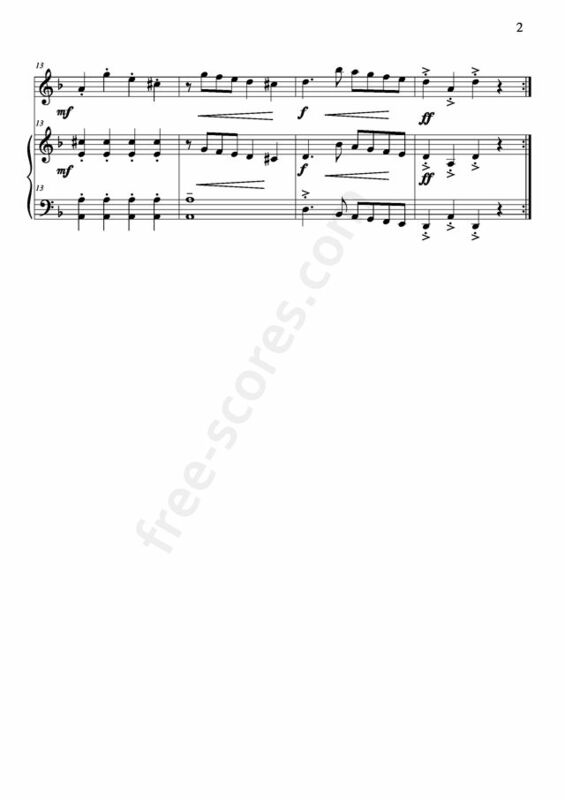 This is a free sheet music for flute and piano duet. 6 scores found for "La Cumparsita"
2 scores found for "La Cumparsita"